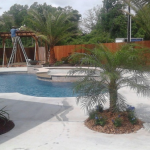 Background: Acadiana Pools in South Louisiana has been servicing the industry for over 30 years. 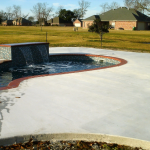 They pour concrete pools and decks of many shapes and forms which are custom designed to the customer’s requirements. Their objectives were to find a way to reduce the time needed to complete each project, the ability to easily create contour forms, and more importantly reduce the quantity of steel required in each project. All of the above needed to respect the highest quality standards the company has always been delivering since their inception, using the best available technology for each job. When Acadiana was first introduced to the possibility of using ICF’s HiperLon™ macro fiber, the company did not realize all the benefits that could be obtained from the adoption of this new and revolutionary macro fiber. The market for pools is a very seasonal one that requires companies to efficiently execute their jobs during the high season. Therefore the successful companies are able to complete projects in a short amount of time, with less material, and reduce the inconvenience to the customer during construction. Project Cost and Advantages: The total cost savings for Acadiana Pools Inc. is approximately 20% on a typical 15 yard size pool. The bigger the pool and the more complex the form, the higher the cost savings are per project. The company was able to deliver a higher quality product that will require less maintenance. The quality of the finishes surpasses customer’s expectations. Furthermore customers are pleased by the reduced time required for construction. 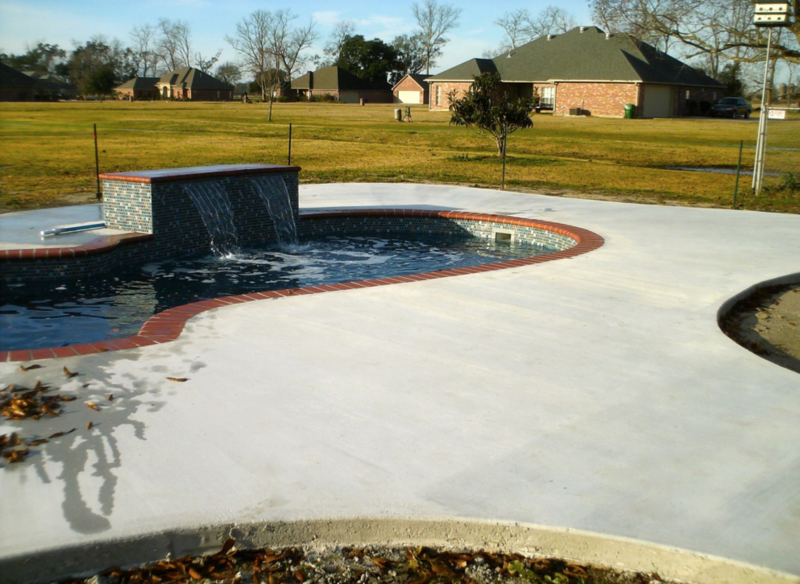 The use of HiperLon™ macro fiber allows Acadiana Pools to design and pour each project at a far higher rate during the high season allowing them to outperform the competition and simultaneously increasing their bottom line. 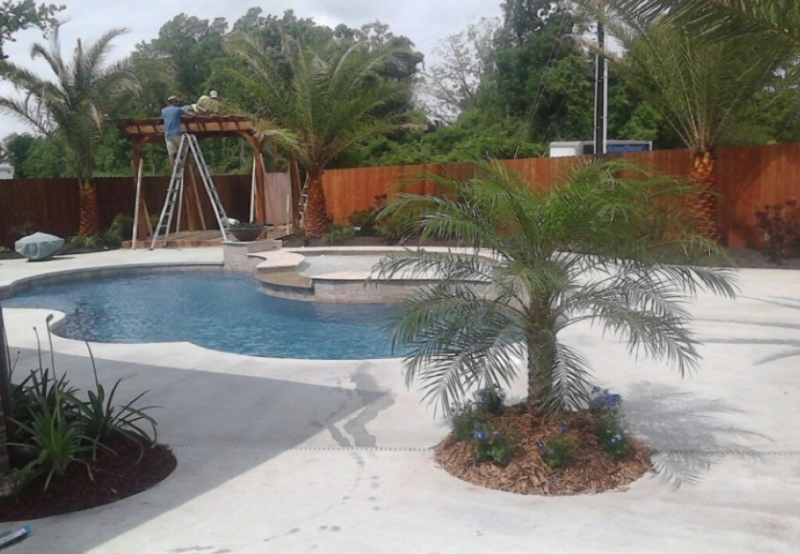 Conclusion: Acadiana Pools is continuously learning the many advantages the use of HiperLon™ macro fiber technology can do to their company for the future. It allows their engineers to take on challenges on projects before too complicated and costly to be realized. 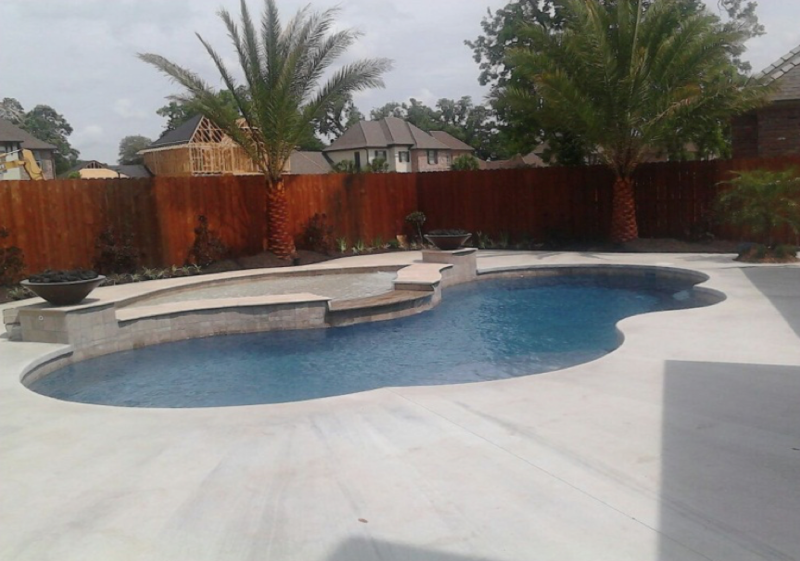 HiperLon™ has given Acadiana Pools unexpected competitive advantages that will grow as their experience will inevitably expand the realm of possibilities to their product line.